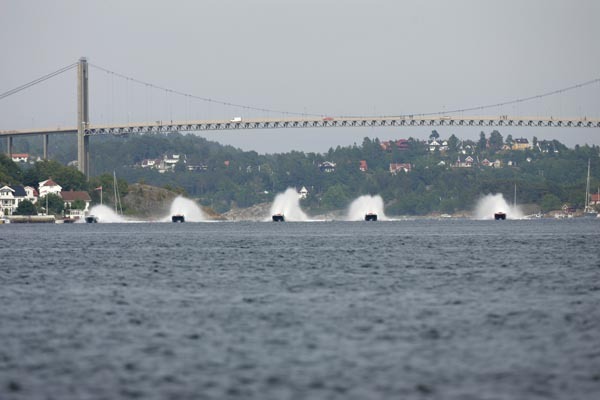 Dubai’s Victory Team produced a racing masterclass in race 2 of the BMW Norwegian Grand Prix, with Fazza 3 and Fazza 1 finishing first and third, and the newest design to emerge from the Victory stable, Spirit of Dubai, finishing second. After a spectacular and dramatic start, which saw home favourites Welmax win the drag-race to the first turn and lead the race for a lap-and-a-half and Fazza 1 almost flip before the first turn, a series of breakdowns reduced the numbers on the water to leave the Fazza crews and Spirit of Dubai out on their own to race for the podium places. 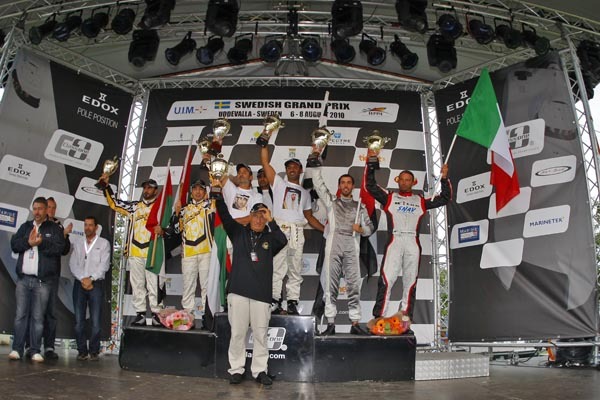 For the second time in two Grands Prix the defending World Champions, Arif Al Zafeen and Nadir Bin Hendi, completed the win-double to take their eighth consecutive race win and extend their points lead in the Championship. Giovanni Carpitella and Giorgio Manuzzi rounded off their impressive weekend with a third podium in Spirit of Dubai, splitting the two Fazza crews to finish in second place. “For sure we are satisfied,” said Italian throttleman, Carpitella. “This is the first time we use this boat and it is an unbelievable result for us. I am very happy to use this boat and engine combination. We start very well but both Mercury boats were very fast. We stay on the line we gave Fazza 3 some space and stayed in third place at the turn. We completed the race very easily and were in control of our position and didn’t want to push too hard or damage the boat before the next race. For Jorn Tandberg and Kolbjorn Selmer, it was a case of what might have been! After giving away 30-seconds at the start of race 1, a change of propellers and a different ratio setting gave them the advantage today, albeit momentarily, before they broke their rudder after crashing down heavily on the side of the boat in rough water. “The start was great but maybe we were pushing a little too hard.” said Tandberg. 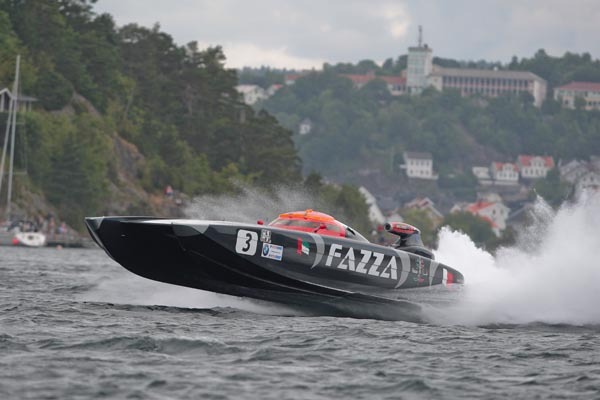 For Zabo Racing’s Christian Zaborowski and Paul Gaiser the promising start to their season was halted on lap 5 when a broken compressor belt ended Relekta’s race, with Giorgioffshore’s poor weekend compounded when a broken prop-shaft ended theirs. Today’s win, a sixteenth for Al Zafeen and Bin Hendi, increases their lead in the title race and puts them 29-points clear of the their team-mates and extends Victory team’s winning streak to 13-races. I was very pleased to find this web-site.I wanted to thanks for your time for this wonderful read!! I definitely enjoying every little bit of it and I have you bookmarked to check out new stuff you post.